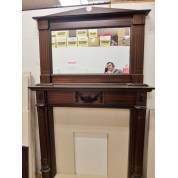 Bevelled mirror above the mantle shelf. 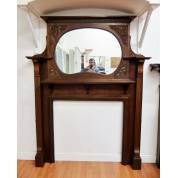 Please note that the two side pieces to either side of the fireplace have been restored, they will need to be re-varnished. Internal Height of 873mm and width of 920mm. 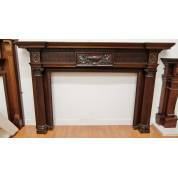 The hearth and back shown are also included with the fireplace.